There are literally millions of different advertisements now deployed across various platforms such as Google and Bing; with so many niches to choose from, it comes as no surprise that paid advertising can be just as competitive as traditional SERP rankings. In the past, advertising via Google and Bing was a bit simpler in that you only needed to target select keywords, enter a fair bid and wait for the traffic to arrive. As search engines continue their mission to deliver more relevant content to their users, the way in which these elements interact with one another has become more complex. It turns out that placing the appropriate bids on these advertising networks can be more important than simply throwing the most money at them. In the following article, we will discuss what you can do to ensure that your PPC bids are optimized for ideal traffic and exposure in an ever-changing paid ad atmosphere. There are several ways in which you can bid for clicks on Google and Bing, As you are pinging links to search users, you want to hit the most relevant audiences and grab the attention of those most likely to click on your ads. Regular CPC bidding will allow you to set your cost per click for each campaign based on your own metrics, using conversion rates and target costs. Automatic bidding can be used to allow search engines to optimize your campaign for the maximum number of clicks, but you may find some lower quality traffic coming through as a result of this. Enhanced cost per click campaigns are popular on Google, which constantly tweak the campaigns to see what performs better and what does not (ultimately utilizing the best performing tweaks for your campaign). Once you have been running paid ad campaigns for a month or so, you can then use conversion optimizers provided by Google to further boost your likelihood of conversions and clicks. Not all PPC campaigns will perform similarly – even with the same metrics – due to the fact that audiences are vastly different from one another and have unique browsing habits. Especially true with local search, you may discover that various campaigns perform better at different hours or during different days of the week. In addition to this, a paid ad campaign may perform poorly in a market where there is much demand, higher incomes or lower populations. There will also be a difference in how your ads are seen and interacted with on mobile versus desktop devices, so these subtle differences need to be understood in order to gain the most from any PPC campaign. There are a few simple tips that you need to remember, whether you are pinging links to search engines for SEO or via PPC campaigns. Your audience will differ depending on the exact result, as will each campaign’s performance. The need for creative, stimulating ads are also just as important as the need for captivating content in order to boost performance. 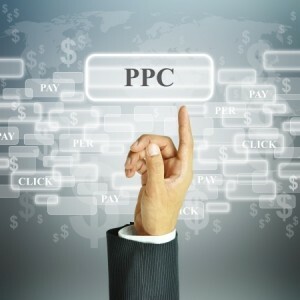 When it comes to PPC campaigns, however, understanding the various bidding options available to you and the subtle differences in each audience can go a long way toward ensuring optimal performance in any search niche.